We’ve Got a New Little Lobster! We are really excited to tell you about a new member of the Salcombe Finest team! Lucy Usher (AKA Little Lobster) joined in December and is already an integral part of the team responding to all your enquiries, phone calls and emails. Lucy is an old family friend of Kate’s and their Salcombe memories go way back! 1. How do you know Kate (AKA Queen Crab) at Salcombe Finest? Kate’s parents are some of my parents oldest friends (we’re talking 50 odd years here!) When Kate was a very little crab I used to holiday with her family to look after her whilst her big brothers were sailing, rowing, fishing etc. In those days trips to Cranch’s were limited to once a week too! By the ripe old age of 10 she was one of my bridesmaids. Now here we are in fabulous Salcombe working together. 2. What do you love most about Salcombe? When I was a very little lobster I loved crabbing off the wall on Victoria Quay, building dams and sandcastles on the beach (I won the sandcastle competition on South Sands circa 1977!) This would have to be followed by a cup of tea and donuts from the bakery. As a a slightly more adult lobster, in the summer I love days on the water fishing for mackerel and swimming off any of the beaches. In the winter there is nothing better than a walk on the beach and cowrie shell hunting on North Sands followed by a cream tea at The Winking Prawn. 3. What is a hidden gem that people might not know about? 4. What is your perfect day in Salcombe? 6 am fishing trip with a bacon sarnie and flask of tea. Back to make a picnic lunch (has to be a pasty! ), then off to Black Cove. A lovely long swim then back to shower and change ready for cocktails at Island Street Bar. Then home for a Salcombe Crab salad with new potatoes and a glass of Chablis overlooking the water. 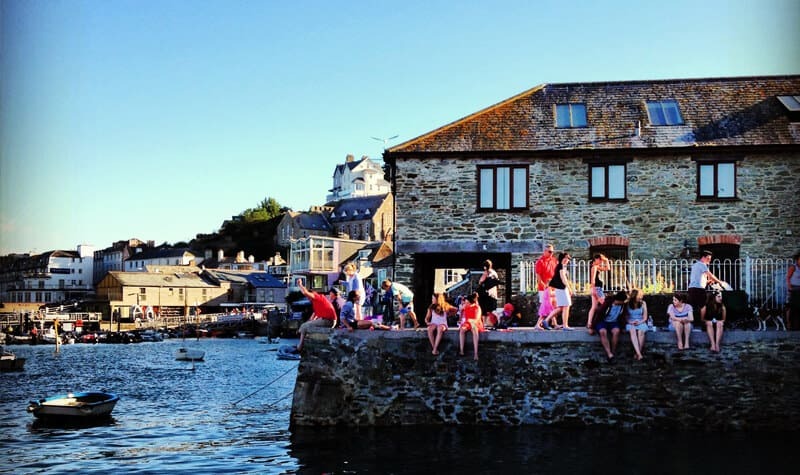 We are always on the lookout for exceptional people to join the Salcombe Finest team – from summer seasonnaires to look after our VIP guests to private chefs and boat boys. If you think you’ve got what it takes, please get in touch and tell us why!